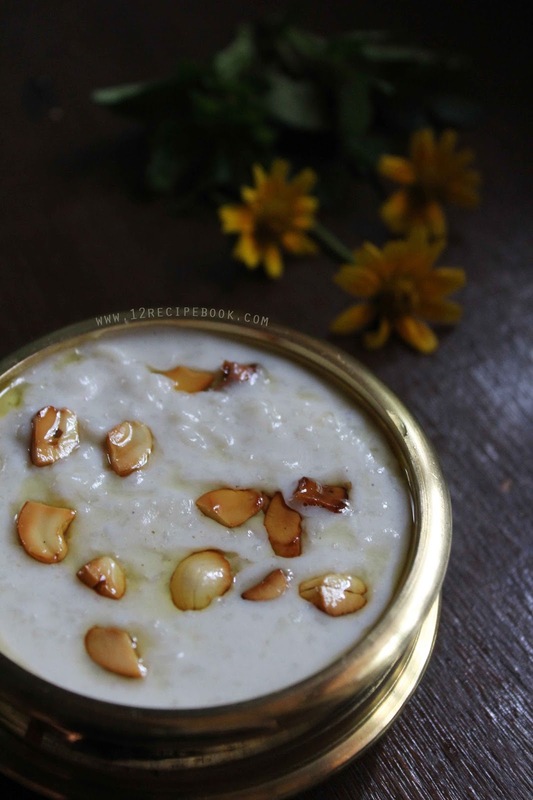 Palada payasam is a rich dessert (kheer) made with rice ada. 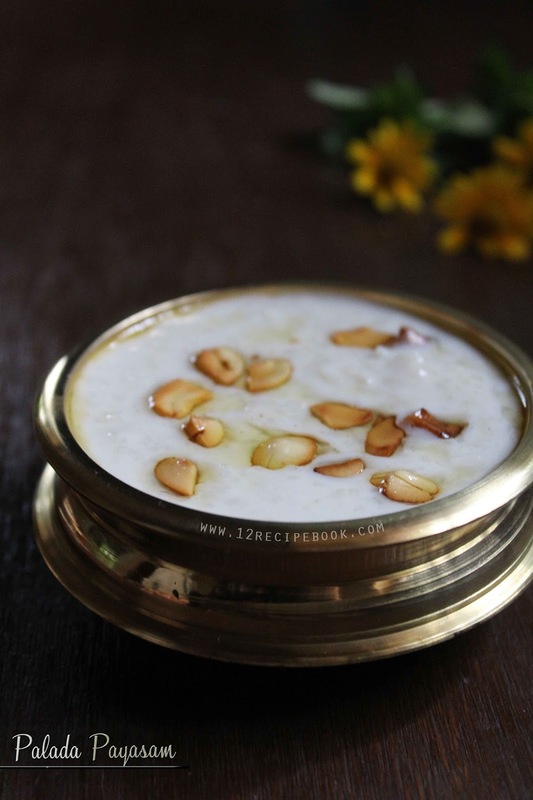 It is one of the popular Kerala Onam Sadya Dessert. You can make them easily with ready made rice ada (thick rice flakes), milk and sugar. 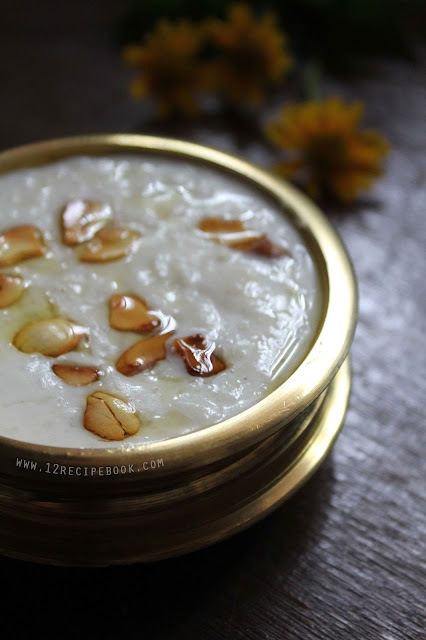 Try this quick and easy kheer at home and please your sweet tooth. Boil 2 cups of water in a pan; when it boils add rice ada and cook for a minute. Switch off the flame and rest the ada in boiled water for about 20 minutes. Drain the water and pour some cold water over it. Boil 3 cups of milk, sugar and 1 cup water in a heavy bottom pan (uruli or pressure cooker) over simmer flame for about 1 hour. stir occasionally and scrape the sides; then it becomes slightly thick and pink in color. Heat another pan with 2 tsp of ghee. Add well drained rice ada in to it and saute for few minutes (about 5 minutes) until nicely changes its color (slight change). Add this roasted ada in to thickened milk and cook for another 15-20 minutes by stirring continuously until reaches a nice kheer consistency. Switch off the flame by adding cardamom powder. Allow to cool and serve by topping it with fried cashews.